We bring nostalgia, history and tales from both within and beyond Calcio’s four white lines. This is Italian Football through our eyes. This is the Gentleman Ultra. With the Milan derby upon us, what better time to bring you the first of our TGU podcast bitesize specials. In the black and blue corner, Richard Hall searches for hope amongst the Inter gloom, while in the red and black corner, Luca Hodges-Ramon travels to the San Siro with quiet confidence. TGU's very own veteran performer Richard Hall is joined by young gun Luca Hodges-Ramon to discuss Ramez Nathan's piece on the old-timers who shone in the crepuscular light of their calcio careers. TGU host and founder Richard Hall and editor Neil Morris are joined by special guest Giancarlo Rinaldi to discuss Pirlo's oenological exploits, how the seeds of Football Italia were planted and Fiorentina's current plight. TGU host and founder Richard Hall, and editor Luca Hodges-Ramon are joined by special guest Chris Lee to discuss calcio’s early pioneers, Schillaci’s steep trajectory and the burden of expectation placed on emerging talent. 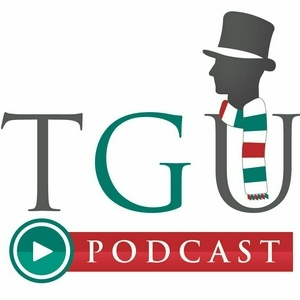 TGU host and founder Richard Hall, and editor Luca Hodges-Ramon are joined by special guests Adam Digby and Matt Santangelo to discuss indignation on Juventus’ Curva Sud and the upcoming Milan derby. 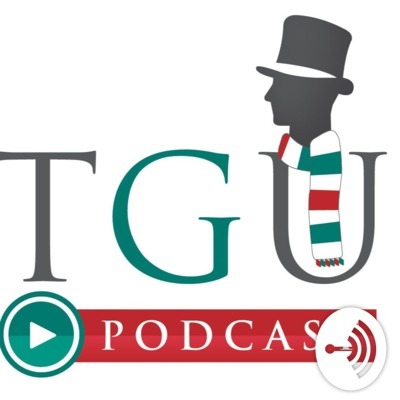 To mark the new season, TGU host and founder Richard Hall, and editors Luca Hodges-Ramon and Neil Morris are joined by special guest Nima Tavallaey Roodsari to discuss the coming season and the TGU 90's Serie A Dream Team. Also, Richard enthuses about Diego Fuser while Serie B's ongoing shenanigans prompts some collective head shaking. As one star arrives in the north of Italy and another disappears in the south, TGU host and founder Richard Hall, and editors Luca Hodges-Ramon and Neil Morris, discuss the growing divide between the haves and the have nots in Italian football. Also covered are the launch of Golazio bar in London and how fans can watch this season’s calcio action. In episode 4, host and TGU founder Richard Hall, editors Luca Hodges-Ramon and Neil Morris, and contributor Wayne Girard look at the events that played out on and off the field in Roma's recent Champions League clash with Liverpool. In episode 3, host and TGU founder Richard Hall, and editors Neil Morris and Emmet Gates look back at the playing and broadcasting career of Ray Wilkins and pick their favourite goals from the Gazzetta/Football Italia era. In episode 2, host and TGU founder Richard Hall and editors Luca Hodges-Ramon and Neil Morris chat about players who ventured abroad in the 1950s and 60s, and how to win friends and influence people in Bergamo, before tackling a couple of questions from our followers on Twitter. In our first ever episode, host and TGU founder Richard Hall and editors Luca Hodges-Ramon and Neil Morris chat about their most memorable moments from Italia 90, pay tribute to Davide Astori, go on a sticker hunt with Paolo Poggi and discuss the best Italian football kits of the last 50 years.